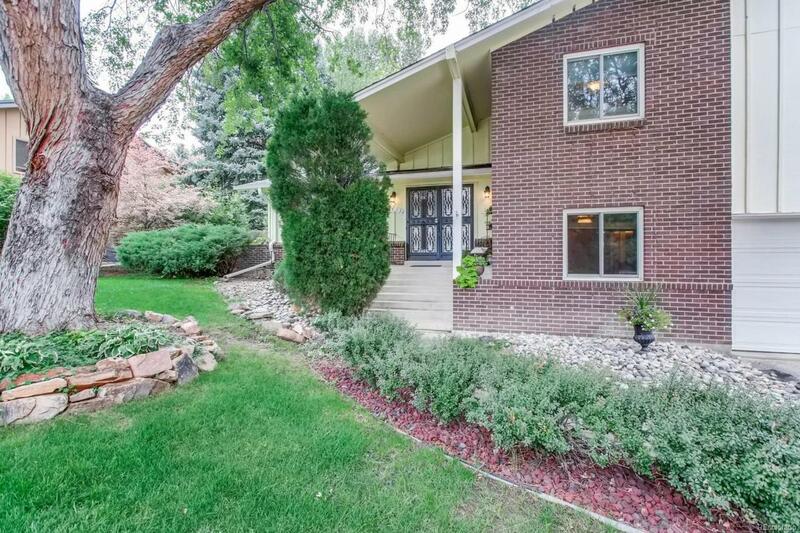 Gorgeous Tri-level in Westgate! 3 houses to beautiful open space/walking trails and Bear Creek! Awesome location on a mature street/neighborhood that has amazing mature landscaping and trees! Updated 4 beds/3 baths/ Open Floor Plan/ Wood floors/2 fireplaces/ Kitchen has slab granite and stainless steel appliances and a beautiful tin ceiling with glass tubes that bring in natural light! / Master suite is stunning with Large walk in shower /block glass detail wall/ dressing area/ copper sink and a private balcony with awning! 2 Custom Venetian plaster walls in this home done by an artist add extra slice of luxury! Home also has several Art Niches and a hidden wine cellar in the basement. Newer Anderson windows/Furnace/AC. Extra tall ceilings in the Great Room with fireplace makes this the focal point of this great home! Back yard is private and beautiful with tall mature trees and vegetation. Extra Large storage shed/ fenced.